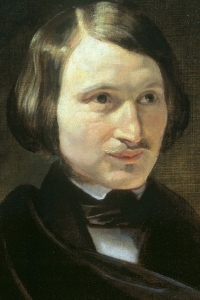 Gogol Portrait, c. 1840, artist unknown. In Russia, Gogol’s name is as important as Shakespeare’s. This may surprise many who are unfamiliar with Gogol and his work, but the writer’s influence transformed Russian art just as Shakespeare’s writing changed the face of English drama and language. His work was so unique in style that it rippled throughout the history of Russia and Europe, shaping movements from the realistic novel to avant-garde art. But to truly understand Gogol’s significance in the literary world, we must understand the unique circumstance of Russian literature. Vladimir Nabokov, writer and scholar, believed that non-Russians think of Russian literature as something finished, a flourish of artistic output that has ended. Russia’s greatest writers, the names we know and study, all wrote between roughly the years of 1830 and 1930: Pushkin, Dostoyevsky, Tolstoy, Chekhov and, of course, Gogol. Culturally delayed due to tsarist control and basic facts of geography, strangled artistically after the Russian Revolution and the rise of Stalin in the 1920s, the golden age of Russian literature occurred in a stunningly compressed amount of time. Only during that limited era did artists have the freedom to write and the public freedom to read. A complex national literature evolved at lightning speed, thanks to a handful of visionary literary demi-gods. In Gogol’s hands, a description of the weather suddenly explodes into a personality: a sloppy, drunken soldier. Gogol’s best works, written in the 1830s and 1840s, ignited a storm of controversy in the Russian public and shaped the newly-born national literature—when it seems he was simply attempting to write whatever he dreamt up, and to be liked for doing it. Far from political, he thirsted for critical approval and popular success. However, when The Government Inspector premiered in 1836, theatregoers assumed that the sharp caricatures were meant to pillory government officials. Gogol was scorned for his apparent satire, but his ingenious sense of the ridiculous still made it the most popular Russian play until Chekhov. Audiences couldn’t get enough. The writer, however, was so appalled that people thought he had criticized the government that he fled to Italy, where he wrote countless letters and sequels to attempt to remedy his mistake. But no use; the damage was done. Anti-imperial factions read his play as a biting satire, earning him their adoration. In the early 20th century, avant-garde artists and writers would take up Gogol again as an example of social literature. Dead Souls, Gogol’s last and greatest work published in 1842, chronicles a man’s journey through the provinces to buy “dead souls”, or serfs that had died since the last census and were therefore still alive on paper. 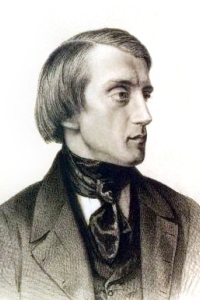 Vissarion Belinsky, the most prominent critic of Gogol’s era, hailed the realism of the novel. He championed Gogol as the voice of a new movement devoted to detailing the minutiae of everyday life in all its banality and ugliness. It was Belinsky’s enthusiasm that launched the Natural school, a precursor to Russian Realism and the epoch of Tolstoy, Dostoyevsky and Chekhov. Meanwhile, conservative critics derided Gogol’s subject matter; in their opinion, showing the dirt and misery of life and glorifying the lower classes was a subject entirely unfit for literature. From all accounts, the controversy simply bewildered Gogol. Late in life, he retreated into religious zealotry and burned all drafts of the second volume of Dead Souls, fearing the Devil played a part in their creation. Gogol always wanted to be lauded as the father of Russian prose, but it happened in ways he never could have imagined. His legacy overshadows the nation’s entire literary tradition. Building on his work, Tolstoy and Dostoyevsky perfected realistic fiction with novels like Crime and Punishment, War and Peace and The Brothers Karamazov. Symbolist poets during the Revolution were inspired by his satire and peculiar style. But Gogol’s “real” Russia was imaginary: according to Nabokov, Gogol barely visited the provinces, and hardly knew Russia. Without even realizing, Gogol created Russian literature—and ever since, Russian literature has created Russia. Laura Henry Buda started as STC’s Education Coordinator in April and was STC’s 2011–2012 Artistic Fellow. She holds an MFA in dramaturgy from the A.R.T./M.X.A.T. Institute at Harvard University.